How to relax with a child? 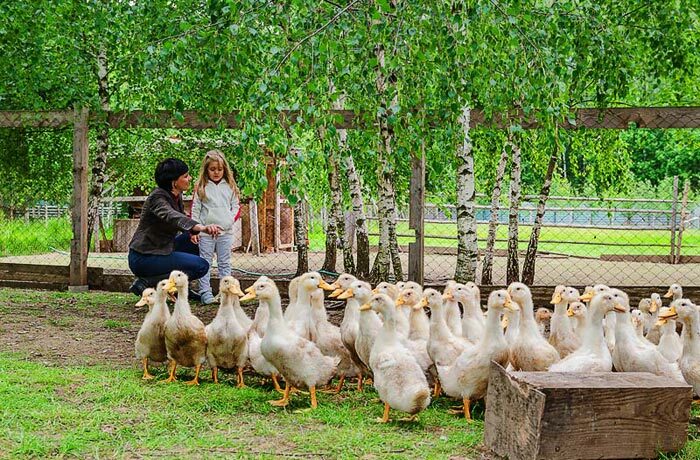 Spend your weekend or holidays with your children outdoor with a deep dive in a real country-side life at the farm among cows and gooses. 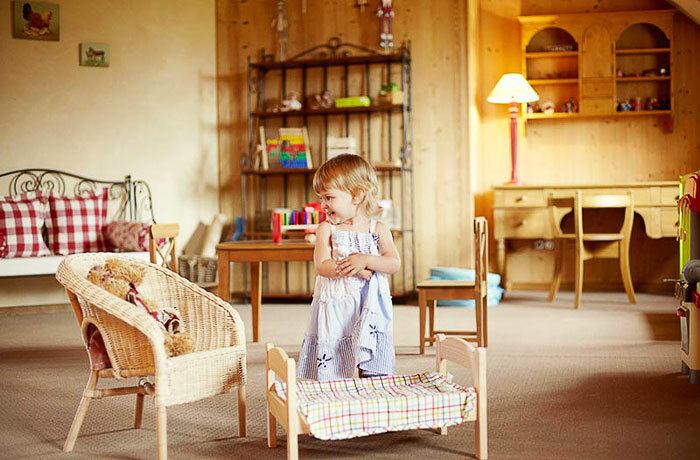 Cozy rooms, various entertainments for children, healthy food prepared based on the farm products will deliver to you and your children extra power and a lot of pleasant memories! - and of course well balanced and ecologic food within a special children menu. 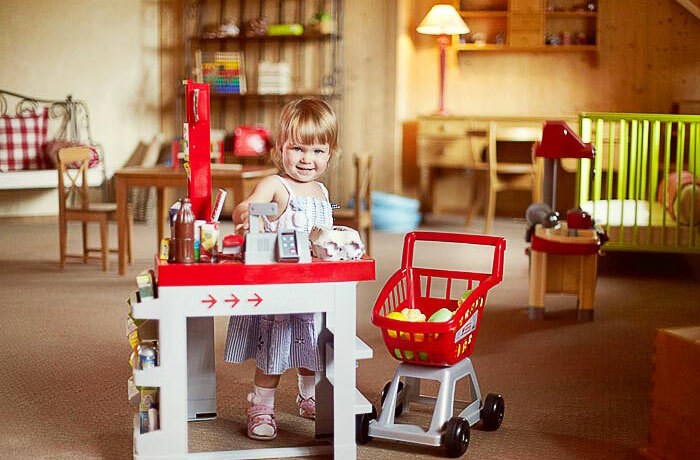 We invite children and their parents to visit children game room. Wide range of toys, brain table games, slide and dry swimming pool with colorful balls. The game room has all the necessary for leisure: plasma TV, game consoles, table games, books. For the youngest children we have fluffy toys, toy blocks etc. The room is equipped with ecologic furniture produced of natural woods. Your children will spend here great time and find new friends. Interesting entertainment programs will not allow even the most fastidious and capricious children to be bored. Meanwhile you can devote your time to yourself. Leisure with children will be pleasant, comfortable and easy for you. 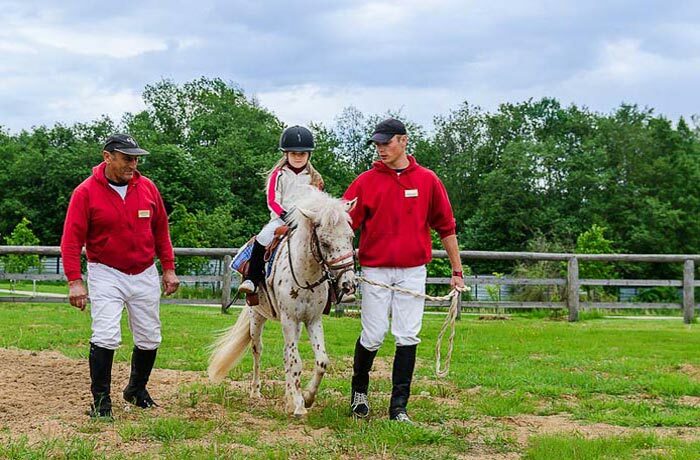 “Potapovo” Farm has all necessary conditions for family leisure with children.